Located in central Canada, along with Saskatchewan, Manitoba’s landscapes are diverse – from the prairie grasslands in the south and west to the east’s countless lakes and forests, with a wild north stretching into sub-Arctic tundra. Churchill is situated on the east bank of the Churchill River at Hudson Bay with a relatively small population of about 800 in the winter that swells to 1500 during the summer months to cater for the increased number of visitors. Canada’s only seaport on the Arctic Ocean is situated here and the only link to the rest of Canada is via air and rail. 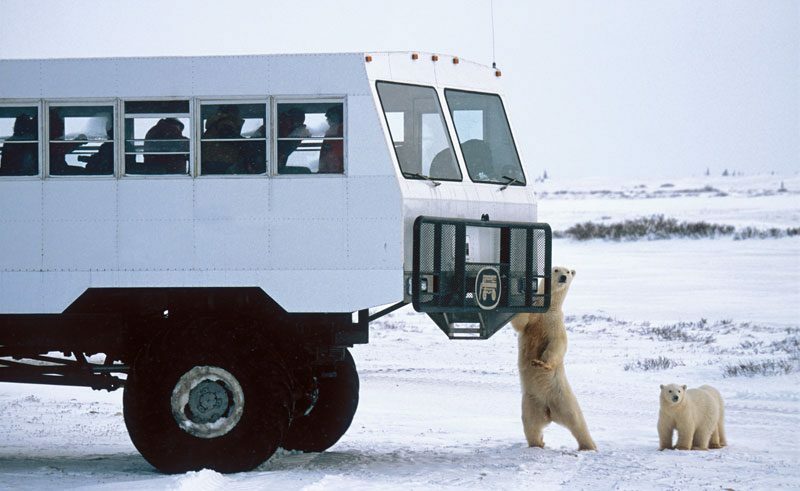 Churchill, most famous for its polar bears, is known as ‘the Polar Bear Capital of the World’. When not out on the tundra, Churchill’s hub is the famous Gypsy Bakery in the centre of town. Serving good wholesome meals and wonderfully over the top cakes, this is where locals meet and visitors can listen to their tales of derring-do with the latest bear to wander into town. Town Centre Complex offers a viewing opportunity over the Hudson Bay and if this inspires you to get active on the ice they offer leisure activities including a curling rink and hockey rink. The Eskimo Museum, if you have the time, is worth a visit. There is a quaint wooden church, a small cinema, bowling alley and a few shops and restaurants in town but the bears are what people come for – including the odd camera crew making the latest wildlife documentary. And if you like to collect interesting stamps in your passport, don’t forget to visit the Post Office. 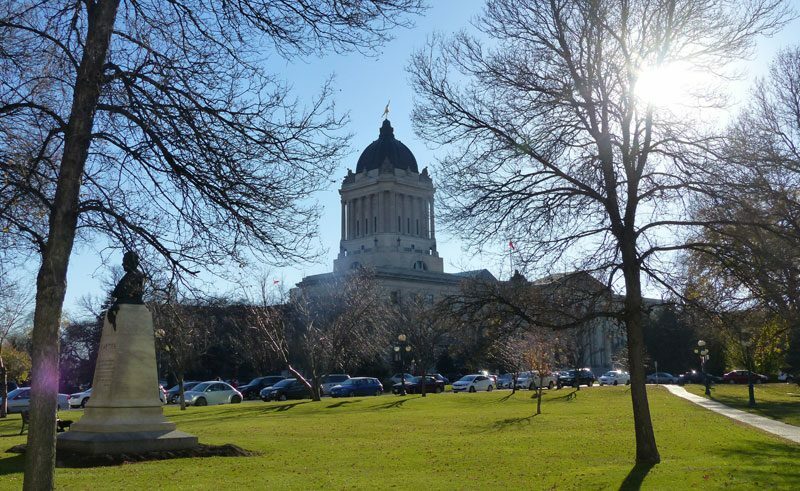 Explore the modern city of Winnipeg, the fourth largest in the country, situated at the mid-point between east and west coasts. Its location, at the confluence of the Red and Assiniboine Rivers, made it an important trading post for First Nation people, thousands of years ago. Its rich and varied history can be investigated at the Museum of Man & Nature. This cultural exploration can be furthered at the Winnipeg Art Gallery which holds the largest public collection of Inuit art in the world and where you are also invited to venture into the open-air sculpture court. If inspired by these works, the twentieth century Manitoba Legislative Building, made of fossil infused local Tyndall stone, may be of interest which comprises a variety of sculptures including representations of Canadian nationhood ideals embedded within the architecture. The Exchange District, a National Historic Site, provides additional opportunity to be absorbed in fine examples of twentieth century architecture and is suggested to be the best-preserved collection of any Canadian city. This area comprises the Old Market Square that comes alive on weekends with a produce market, flea markets and buskers. If venturing beyond the city centre, a ten minute walk from the downtown area and over the Red River will take you to the suburb of St Boniface, founded by French-Canadian Catholic Priests in 1818. Many historical sites line the riverside and with 25 percent of the area’s population still speaking French this makes for an interesting stroll along the river bank. Aside from the architecture old and new, Winnipeg has a good selection of restaurants and cafes, and many shops. The Forks Market area on the riverfront, a collection of restored stables, warehouses and an old railway terminus, now houses an indoor market, similar in feel to Covent Garden. Interesting craft shops, food stalls and the odd street performer, make for an entertaining afternoon. This lodge provides exclusive access to one of the most pristine wilderness areas in the world in comfortable rustic cabins. The charming 26 room Bear Country Inn is centrally located near the local shops and restaurants of Churchill in Manitoba's iconic north.